The American Cancer Society is leading the charge in the battle against cancer. They are nearly the largest funder of cancer research in the nation–second only to the U.S. government. The work they do has been recognized and endorsed by celebrities and professional athletes, but most importantly it has been felt in the lives they’ve saved. The American Cancer Society is the most valuable resource for cancer patients and their families. They provide transport for patients so they can get to and from their treatments. For those who live more than 30 miles away from their treatment center, American Cancer Society and their partners in the hotel industry provide extended stays near hospitals. They even built a community for cancer patients in Phoenix called the Hope Lodge. The Hope Lodge consists of 18 free standing casitas surrounding a community kitchen and lounging area where patients can gather and connect. Patients and their caregivers are permitted to stay as long as they need to, and it doesn’t cost them a single cent. All of American Cancer Society’s programs–from patient transport, extended hotel stays and the Hope Lodge–are completely funded through donations, so patients and their caregivers can focus solely on recovering. The people of the American Cancer Society know what it takes to beat cancer because many of them have beaten it themselves. Cancer survivors occupy major roles within the organization, and their experience with the disease gives them unique insight into what we must do in our communities to detect, prevent and overcome cancer. They are available 24/7 to answer questions about cancer, treatment, medications, healthcare, insurance at 1-800-227-2345. This resource is totally free, and it’s available to cancer patients and anyone being affected by the disease. To find out more about their upcoming events, initiatives and how you can get involved, visit www.cancer.org. Every October, millions upon millions of people show their support for breast cancer awareness by dressing in pink. 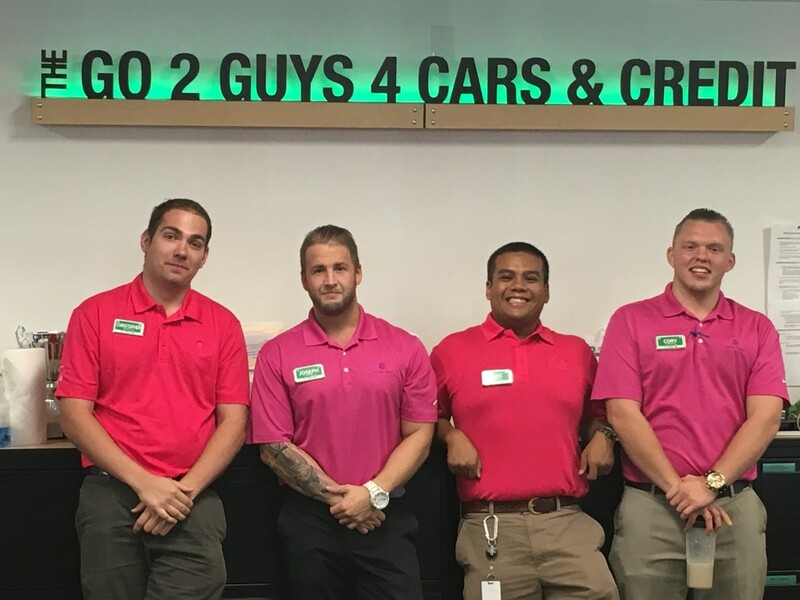 This year, DriveTime showed their support by dressing in pink, selling pink polos and donating a portion of sales to the American Cancer Society and competing in a company wide sales contest that raised over $6,000 for breast cancer research. We also sent a team to walk in the Making Strides Against Breast Cancer event in Phoenix. Over 17,000 participants came dressed in pink to walk in solidarity with cancer patients, cancer survivors and those who have been affected by the disease. The nationwide event collected one million dollars for breast cancer research. With over 1.6 million diagnosis, and over 500,000 deaths from cancer every year, it could be said that everyone, somewhere, somehow has been affected by the disease. The American Cancer Society is working hard to lower those numbers, but they can’t do it alone. Show your support through volunteering, donating or attending their next event. Volunteering doesn’t cost you anything, and it means everything to the lives you’ll touch. Join the American Cancer Society at South Mountain in February for the Climb to Conquer Cancer Festival.